A movie that recreates a real-life sporting event is a curious phenomenon, potentially undermined by the sources of its own appeal. If you remember the Big Game in question, then you walk into the theater with a spoiler in your pocket. But if you don’t, you might not care much in the first place. And besides, the internet being what it is and the made-for-cable sports documentaries being what they are (which is generally pretty good), you might be less than thrilled at the prospect of watching actors impersonate world-class athletes. On the other hand, in the face of such odds, it’s hard to root against “Borg vs. McEnroe,” an engaging feature-length response to the trivia question “Who won the Wimbledon men’s singles title in 1980?” The answer is one of the two players named in the film’s title, rivals whose contrasting styles and temperaments made their confrontation especially exciting. By NEON on Publish Date April 3, 2018. .
Bjorn Borg, a taciturn Swede with a two-fisted backhand and steady baseline game, had won Wimbledon four times. At 24, he had already secured a place among the sport’s greats. John McEnroe, a volatile, quick-footed American with a peppery serve-and-volley style, would eventually join those ranks, too. At the time, though, he was a 21-year-old brat, as famous for his on-court tantrums as for his drop shots. As McEnroe, Shia LaBeouf pulls off a remarkable feat of underacting. (No, that is not a sentence I ever thought I’d write.) The eruptions happen, but they are byproducts of a temperament defined more by insecurity than by aggression. We see more seething than storming, and we are aware of watching a young person in the unruly process of emergence (a description that could apply to both the character and the actor). McEnroe is immature and impulsive and not especially nice, but for all his theatrics — the press loves to cover his outbursts — he is not the dramatic center of the movie. 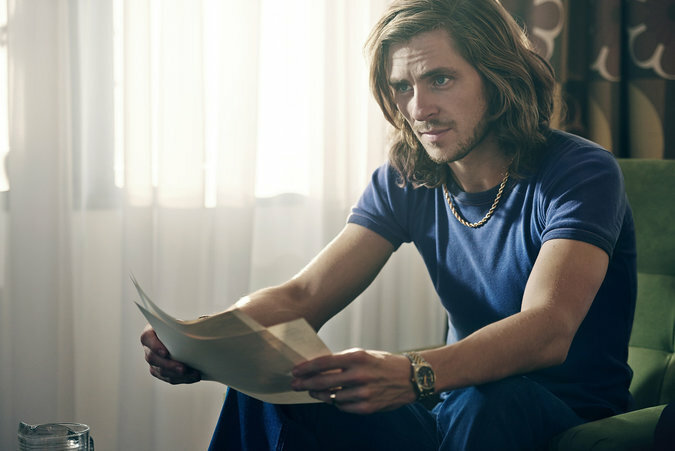 That is Borg, played by Sverrir Gudnason (and by Leo Borg, Bjorn’s son, and Marcus Mossberg in flashbacks to his early life) as a man whose apparent calm is purchased at an enormous, potentially tragic price. The filmmakers — Janus Metz directed, from a screenplay by Ronnie Sandahl — focus on the melancholy Swede, perhaps out of Scandinavian pride and perhaps because they believe his still waters run deep. Though “Borg vs. McEnroe” visits the childhoods of both players, it spends more time following Borg’s path. A working-class boy trying to break into the genteel world of Swedish tennis, he was kicked out of a club for bad sportsmanship and prone to exactly the kind of racket-throwing, foul-mouthed displays that would bring McEnroe, a rich kid from Long Island, such notoriety.